Aerosmith frontman Steven Tyler was on hand last Friday as a proposed new Senate bill bearing his name was presented in the Hawaiian legislature; video of the presentation has now surfaced. Hawaii Senate Bill 465, also known as the Steven Tyler Act, would create a civil cause of action for “constructive invasion of privacy” in the state of Hawaii. Tyler initiated, and is a proponent and vocal supporter of the bill, and appeared with fellow Hawaii resident Mick Fleetwood as the bill was presented in a Senate hearing at the State Capitol in Honolulu, by Tyler’s attorney and manager, Dina LaPolt. The bill is said to be being endorsed by 2/3 of the Senate. The proposed bill (SB465) was modeled after the California Civil Code Section 1708.8, which was adopted by the California state legislature in 1998. SB465 would add a cause of action for constructive invasion of privacy in addition to the current cause of action for physical invasion of privacy in Hawaii. In the simplest terms, the proposed bill would provide a legal remedy for celebrities photographed while they are engaged in “personal or familial activity” and have a reasonable expectation of privacy. This new law would go beyond the more traditional invasion of privacy, which generally requires a physical trespass, by imposing liability on people who use zoom telephonic lenses or other high tech audio devices to capture images or audio of public figures as they are in their homes, or other private places, and then turn around and sell those images or audio files. 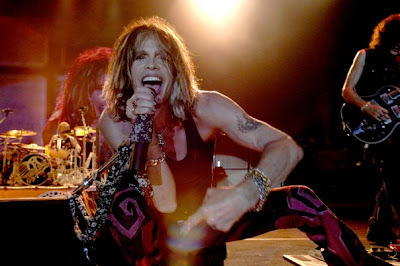 Aerosmith: Steven Tyler’s engagement on the rocks?